Fiberglass Tapes are widely used for power and control cables, instrumentation and signaling cables due to its excellent flame resistance. 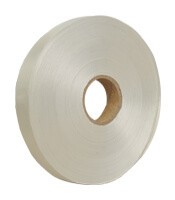 Since Fiberglass Tape is high flexible and has high tensile strength it can be easily applied with high speed standard wrapping equipments. SPOOL (Traverse) winding and PAD winding is available.